A climbing, annual or perennial vine that is vigorous in growth habit up to a few dozen feet. In frost free climates it can overwinter and produce for multiple years. Flowers are monoecious, but both male and female flowers are born separately on single plants, so only one plant is required to produce fruit. Fruits are oblong in shape and can grow up to 6-9" and weigh up to 10-15 pounds. A single plant is said to be able to produce up to 50 fruits. 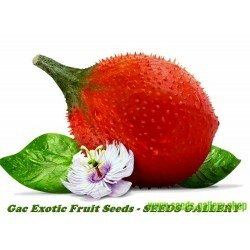 The fruits are noteworthy for their long storage life. Once mature fruits develop a hard rind that lends itself to extended storage. Not frost hardy. 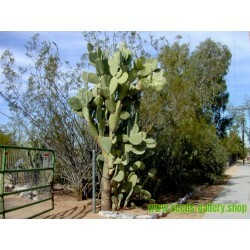 Can be grown as an annual in long summer season climates. Quite easy to grow. Growing requirements are similar to standard melons. The vines need regular water, full sun and room for growth. They will climb, but are easily grown as ground trailing plants. The plant seems to show more tolerance to disease than many standard melons and has subsequently been used as a rootstock in some areas. 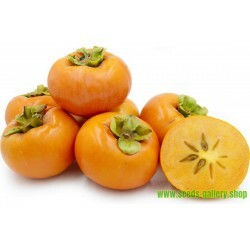 Mature fruits have a sweet flavor and are used in desserts and beverages. Immature fruits can be cooked as a vegetable. 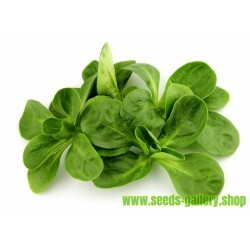 Both the flowers and young shoots are eaten as leafy greens. 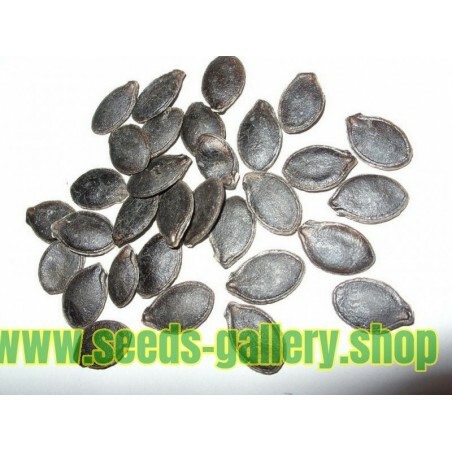 The protein rich seeds are also eaten and are used to make palanquetas, a Mexican confection. Native to the Americas, though the exact range is unknown. 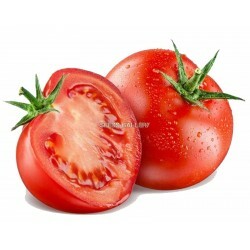 Today it is spread through much of tropical America and is popularly cultivated from Mexico through Argentina. Like most members of the genus Cucurbita, C. ficifolia is a climbing vine that is an annual in temperate climates and a perennial in tropical zones. Unlike some other Cucurbita species, it does not have swollen storage roots. The plant stem can grow five to fifteen meters and produces tendrils that help it climb adjacent plants and structures. It may root from the leaf axils, unlike most other curcubits. The vine can become semiwoody if left to grow perennially, although most commercial plants are annual. Its leaves resemble fig leaves, hence its most common name in English – fig-leaf gourd – and its Latin species name (C. ficifolia which means fig leaf). The fruit is oblong, resembling a watermelon, with wide black seeds. In stark contrast to other Cucurbita, its fruit is highly uniform in size, shape, and color. 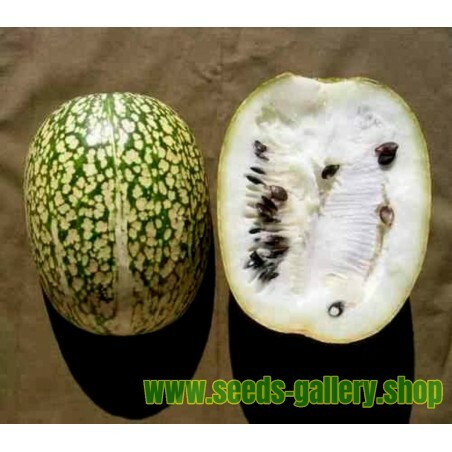 The fruit is oblong with a diameter of eight inches or 20 centimeters, weighs eleven to 13 pounds (5 to 6 kilograms), and can produce up to 500 seeds. 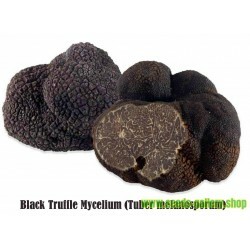 Its skin can vary from light or dark green to cream. One plant can produce over 50 fruit. The fruit can last without decomposing for several years if kept dry after harvest. It is native to the Americas, although the exact center of domestication is unclear. Linguistic evidence suggests Mexico, because of the wide use of names based on the Nahuatl name "chilacayohtli" as far south as Argentina. However, archaeological evidence suggests Peru because the earliest remains have been found there. Biosystematics has been unable to confirm either hypothesis. Archeological records show that it was the most widespread variety of Cucurbita in the Americas, cultivated from northern Chile and Argentina to Mexico. Now it is grown as far north as southern California. In the sixteenth and seventeenth centuries, Europeans introduced it to the Mediterranean regions of Europe (specifically France and Portugal) as well as India. From there it has spread to many other parts of the world and picked up more names. The fig-leaved gourd grows in temperate highlands at elevations up to 2,000 metres (6,600 ft). It is often used as a grafting rootstock for other less resistant cucurbits. C. ficifolia can be propagated through planting seeds and by layering. Tendrils can grow into roots if anchored into the soil, and can propagate new plants once cut, which can be moved to new sites. Because it is not very resistant to frost, it is often planted after this risk has passed. 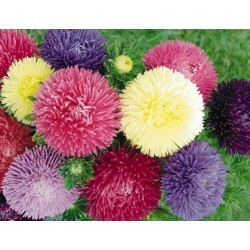 Established plants, however can withstand short overnight frosts. The flowers, leaves and tender shoots are used in Mexico and other countries as greens. The most nutritional part of Cucurbita ficifolia is its fat- and protein-rich seeds, which can vary in color from white to black. They are used in Mexico to make palanquetas, a sweet similar to peanut brittle. The fruit has several uses as food. The immature fruit is eaten cooked, while the mature fruit is sweet and used to make confectionery and beverages, sometimes alcoholic. 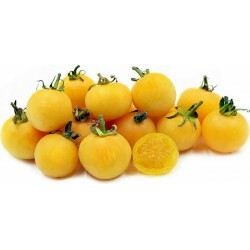 The fruit is low in beta-carotene, as can be seen from its white flesh, and is relatively low in vitamins and minerals, and moderately high in carbohydrates. In Europe: In Spain this squash is used to make a jam known as "cabello de ángel" (angel's hair), "cabell d'àngel" in Catalan, that is used to fill pies, sweets and confectionery. In Portugal, where the fruit is known as "chila" or "gila", it is still used extensively in the production of traditional Portuguese sweets and confectionery; it was also used as a crop for non-human consumption in order to feed pigs. In Latin America: In Chile and Argentina, jam is often made out of the fruit of "alcayota" or "cayote". In Costa Rica, it is traditional to make empanadas stuffed with sugared "chiverre" filling at Easter time. In Asia, the pulp strands are used to make soup, quite similar to shark fin soup, hence the name "shark's fin melon". The cultivation and this usage feature briefly in the film Grow Your Own. Across Asia, eating this melon is also said to help people with diabetes. Several scientific studies have confirmed its hypoglycemic effect. 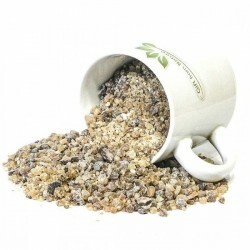 It is used effectively to treat diabetes due to its high D-Chiro-Inositol content. The vine and fruit are used for fodder. Because of its ability to keep for a long time, the ripe fruit was taken on voyages on ships, and used for food for livestock on board.